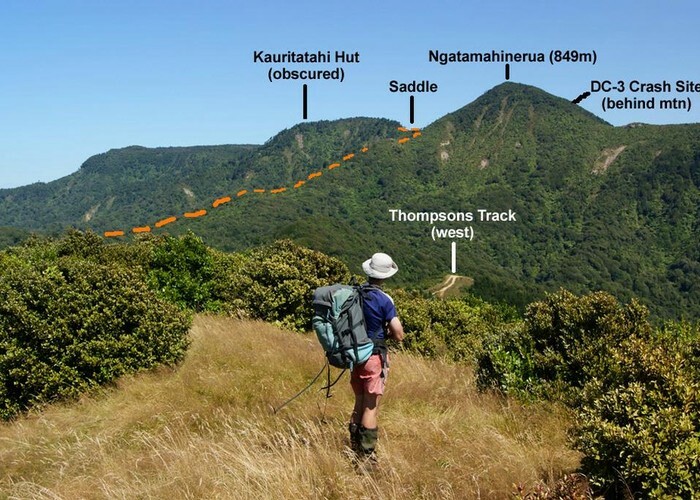 North-South track shown is actually the other side of main ridge, obscured. 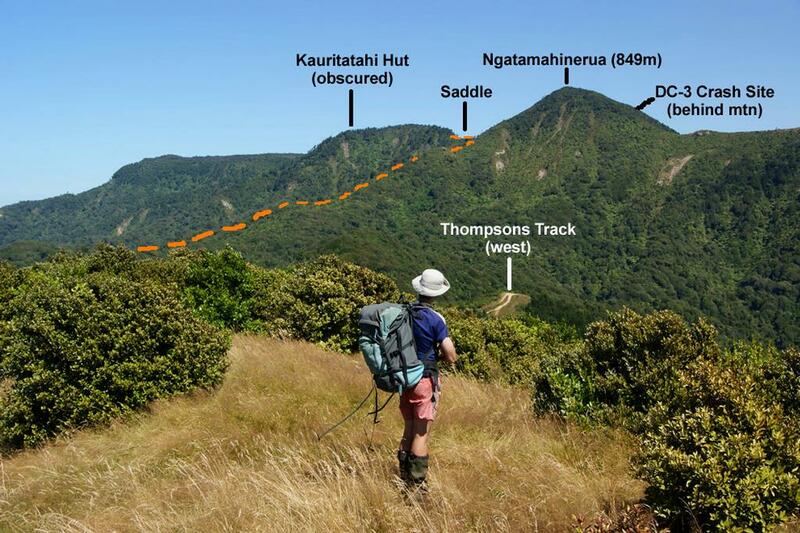 Note the saddle between main plateau (left) and Ngatamahinerua peak (right). Added 8 February 2009 by ledgeledge. No revisions.